Holle is a retired English and creative writing teacher. She is a professional freelance writer and former dog trainer. 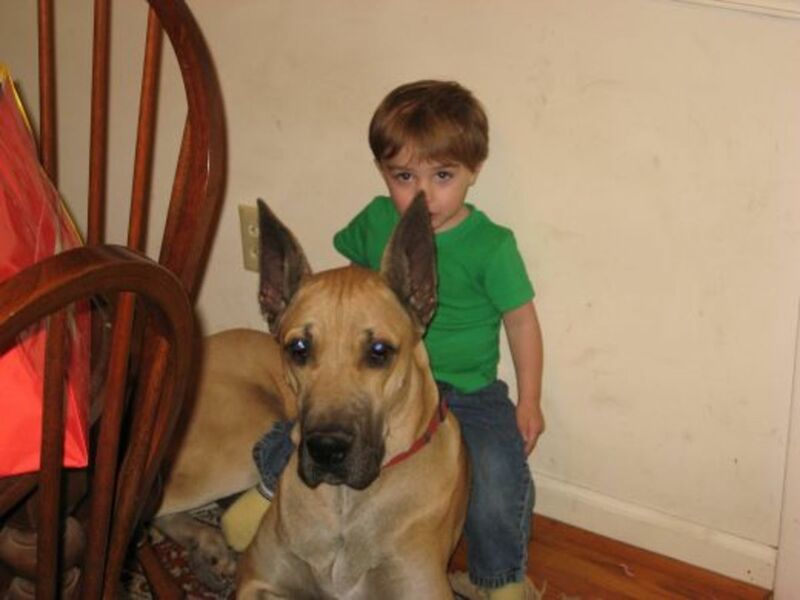 Great Danes like this one are more likely to suffer from dog bloat than many other breeds. Remember the movie Marley and Me? Bloat is what did poor Marley in. According to experts, stomach bloat is second only to cancer as the leading canine killer, with a death rate as high as 60 percent, even including dogs that are treated by a veterinarian. Most untreated dogs will die, so bloat should be taken very seriously. 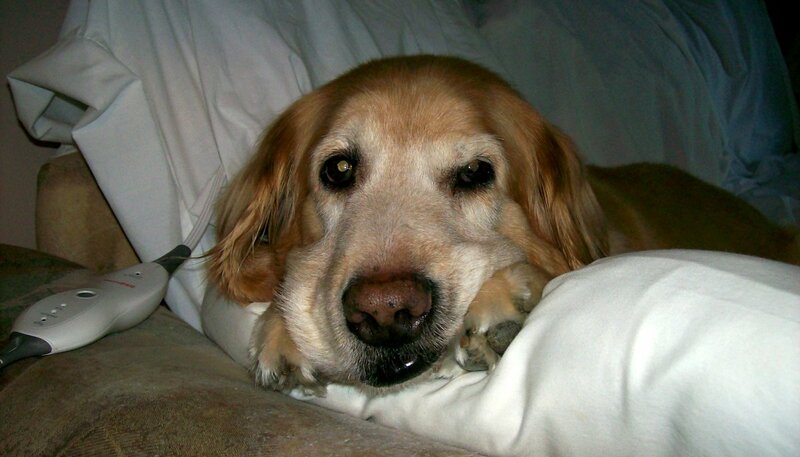 If you suspect that your dog is suffering from bloat, get it to your vet as soon as possible. Stomach bloat, or gastric torsion, are common terms for gastric dilatation-volvulus, or GDV. This condition starts when the stomach becomes distended with gas, causing it to twist. Once this happens, the esophagus is closed, so the dog has no way to relieve the pressure. If the esophagus were open, the dog would be able to vomit or burp. 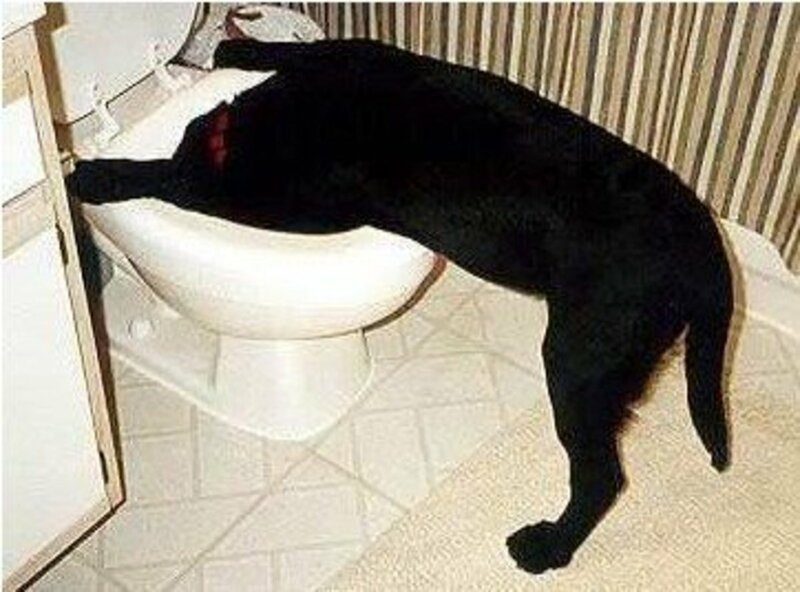 If the stomach weren’t twisted at the other end, the dog would be able to pass gas to relieve the pressure. When the stomach is twisted, its blood supply is shut off and the cells in the stomach lining begin to die. As this necrosis occurs, dangerous toxins that could cause blood poisoning are released. Occasionally, bloating will cause the stomach to rupture. 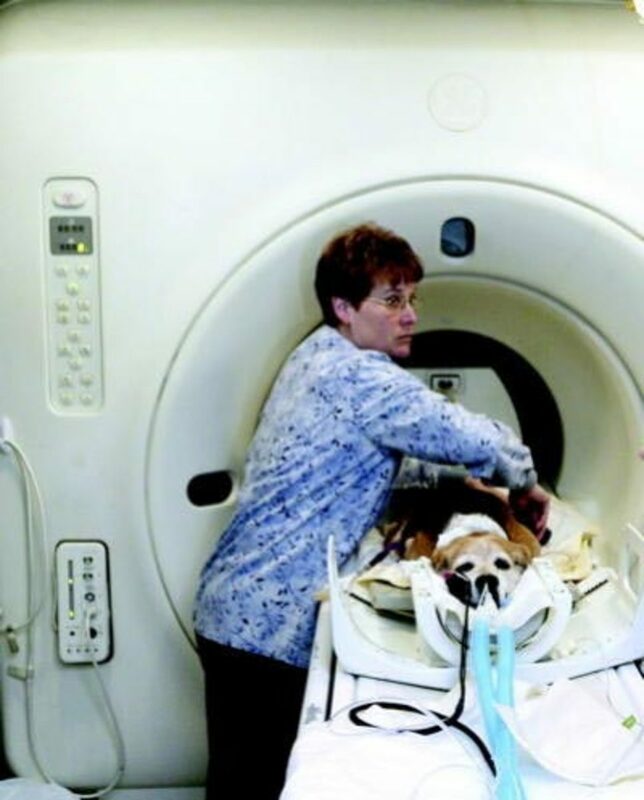 If that happens, the dog could die from peritonitis, or inflammation of the peritoneum. The gastric distention also puts pressure on veins and organs other than the stomach, including the pancreas, the spleen, and the liver. The compromised veins are not able to do their job, so an inadequate supply of blood reaches the heart, often causing heart arrhythmias and dangerously low blood pressure. Death can occur from cardiac arrest or shock. Although any dog can suffer from stomach bloat, breeds with deep chests are the most susceptible. These include the Great Dane, Alaskan Malamute, Doberman Pinscher, Borzoi, Irish Setter, German Shepherd, Kuvasz, Rottweiler, Boxer, Gordon Setter, Akita, Irish Wolfhound, St. Bernard, Great Pyrenees, Weimaraner, Golden Retriever, Bernese Mountain Dog, Basset Hound, Labrador Retriever, Afghan Hound, Standard Poodle, Newfoundland, and Bloodhound. Feed several small meals a day instead of one or two large meals. If your dog gulps down its food quickly, buy a special food bowl with “fingers” or “knobs” that forces the dog to eat more slowly. Wait an hour after exercise before feeding. Keep your dog calm for an hour or two after eating—no rough play, running, jumping, etc. Feed a dog food high in meat and bone meal. 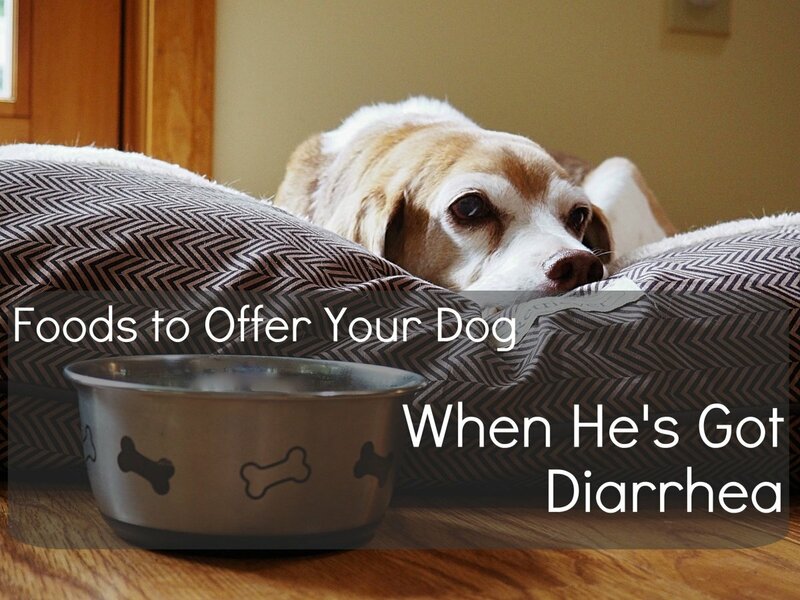 If your dog has bloat, you have to get it to a vet as soon as possible. Time is of the essence! 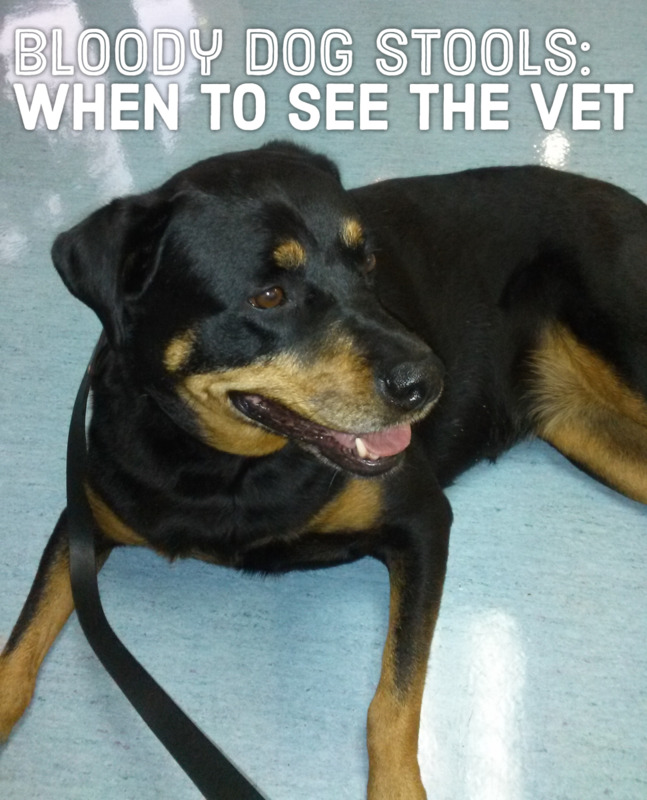 If you have to wait on the vet, you can do things at home that might buy you some extra time. For one thing, keep the dog as quiet and calm as possible. Don’t allow it to eat or drink. Relieve gas pressure by giving the dog an over-the-counter product that relieves gas. You can use Gas-X or other products that contain simethicone. We keep some Gas-X handy just for the dogs. Veterinary treatment for dog bloat includes IV fluids and methods that relieve the pressure of gas. A stomach tube is usually inserted first. If the tube can’t be inserted successfully, sharp pointed valves called “trocars” are used. Once the stomach has been decompressed, the dog will have surgery to return the stomach back to its correct position. This procedure attaches the stomach to the abdominal wall with sutures, preventing the stomach’s ability to become twisted. This surgery shows great promise to get rid of bloat, with initial studies revealing only a 4% recurrence. The gastropexy can be performed on dogs during the treatment of bloat, or it can be done as a preventive measure in dogs with certain risk factors. I love Great Danes and have owned several. Right now, I have two neutered males. Of all dog breeds, Danes are the most susceptible to dog bloat. In fact, most veterinarians agree that more than one-third of all Danes will experience at least one bout with bloat in their lives. This startling fact is why I became interested in learning more about the condition. It’s a shame that such a beautiful, gentle, noble breed would be at risk of such a terrible condition. Of all the Great Danes I’ve owned, not a single one has ever experienced bloating. I’m not sure if I’ve just been lucky, or whether that’s because I’m careful. We feed our dogs numerous small meals every day and encourage them to rest before and after eating. We don’t allow them to drink a lot of water with meals either. Our dogs live a pretty stress-free life, too. 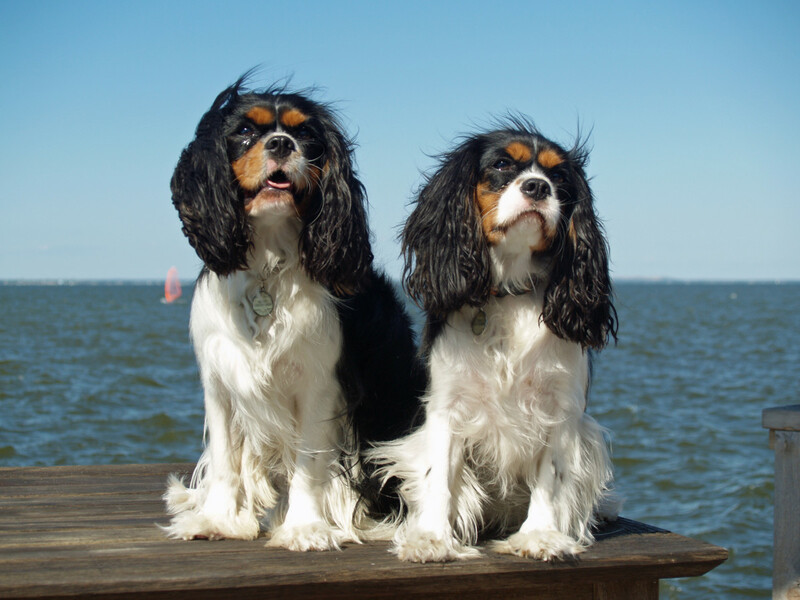 Their biggest stressor at home is having to get a bath. Outside the home their largest stressor is having to go to the vet. Other than these two examples, our pooches are super laid back and happy. There is some debate about whether raised feeding dishes can help. Some dog experts think that they can help prevent bloat, while others say it actually encourages the condition. I’m not a vet, but from my personal experience with Great Danes, using raised feeding seems to help with digestion. I’ve had a couple of Danes that would often regurgitate their food when they ate from a floor-level dish. When we switched to raised food bowls, the dogs stopped throwing up. If my boys ever do suffer from dog bloat, I’ll have the vet perform the gastropexy to get rid of bloat, hopefully forever. I’m not sure how much it costs, but if it will save the lives of my two beloved companions, it will be well worth the price! How can I treat my dog without carrying him to the vet? You can't treat it at home. You need a vet! Can a dog with bloat survive without going to see a vet? It's doubtful. Bloat, however, isn't as serious as gastric torsion, which often accompanies bloat. How long will a dog last with bloat at home? Each case is different. My daughter's dog died just an hour after showing symptoms. Why does my dog have bloating in his stomach? The bloat is caused by excess gas or liquid, which can put dangerous pressure on nearby organs, including the heart. How do I treat my dog naturally if they have bloat? DO NOT try to treat bloat yourself! Get the dog to the vet! What should I do to prevent bloat in a street dog? Since vets aren't sure exactly what causes bloat, there's really no good answer. Several small meals a day is recommended, however. Can a 3-month baby pitbull terrier get stomach bloat as well? I didn’t see the breed listed in your article. Any breed can have bloat. My dog doesn’t appear to have any of the symptoms above only a bloated belly and isn’t showing any pain, is a visit to the vet necessary, his stomach has been bloated for about 15 hours, so should a trip to the vet be taken? no body in colony will help me and i am unable to take him to vet. This is the first time I've heard of gastropexy . I lost a Great Dane 7 yrs ago to bloat, I still miss her everyday. She was 8 at the time. At that time I'm not sure I could have afforded the surgery, maybe that's why my vet didn't bring it up. I would love to have another some day. Thank you for such an eye opening hub. Much needed info indeed! The largest we have now is an Am Staff. I watch her closely and have a maze bowl for her as well as our chi and corgi/dobie mix. Not taking any chances with any of them. They all could be named Hoover! Being raised on a farm I've had dogs all my life and had never encountered bloat. My mothers 6 month old chihuahua is having extreme pain when hes held or when he tries to sit or he tries to lay down. Asking for any ideas what this could be from? My boerbull puppy won't eat if he does he vomits immediately. I suspect a twisted or obstructed intestine. Took it to the vet he charged consultation and said he is not sure what it is because he does not have an xray machine. He said take it home give it sugar and salt water till it dies. This is in Zimbabwe. My dog Just die of this condition Friday night she was 13 Years old, if I only new this. I though It was just gas and it will go away. Nice job, habee. As you well know, there's a lot of conflicting information out there and your hub was well researched. Like Mellypogg, I've seen a lot written about elevated dishes. The contemporary wisdom seems to be that elevated dishes enable the dogs to eat all the faster because the esophagus is kept straight. Great article. The only thing I would add is that, according to Purdue University and the only in depth study done on bloat in dogs to date, feeding dogs from a raised dish does significantly increase risk of bloating. Thank you for writing such an informative article on this problem. My Great Dane (a stray) found me about 7 yrs ago, she was one at the time. Being new to this breed I researched as much as I could. I had never heard of bloat in dogs prior to this. I had always free fed my dogs in the past but switched to smaller meals twice a day after learning about bloat. Thank goodness she has never had a problem with this aweful affliction. Your tips and knowledge are greatly appreciated. Of all the breeds I have owned in the past, this has got to be the most sweetest and gentlest. Awesome hub, voted up ? I like dogs , and i think my dog if he write your hub he will like you too! Glad to hear that, Suzie! Great article. My poor Tanya was getting bloat. I immediately changed the dogs' diet to brown rice, veggies, chicken or beef. I also took away the rawhides which I thought might be the culprit. Tanya is fine now. This is an important Hub for people with dogs. Thanks. Thanks, Rob, and Merry Christmas! Thanks, Fix. I appreciate that! thanks, HH. Always good to see you! Karmic, we pretty much do the same thing. Our dogs "graze" all day! Good to see you here, CJ! Merry Christmas Eve! Had no idea this could kill dogs. I will share with all my friends! Great informative hub. Very helpful to dog owners. So glad you shared this information. As a lifelong dog owner I have not had this experience, thankfully. I do free feed my dogs though. I live on a farm and put a 50 lb bag out and they choose when and how much to eat. No obese dogs here just happy, content and balanced dogs. They may nibble as little as ten tiny pieces and then go off to nap. In my experience it has worked with all my dogs which breeds have included border collie, golden retriever, labrador retriever, mutts, pappillion, boxer and bull mastiff. They all are happy and extremely healthy. 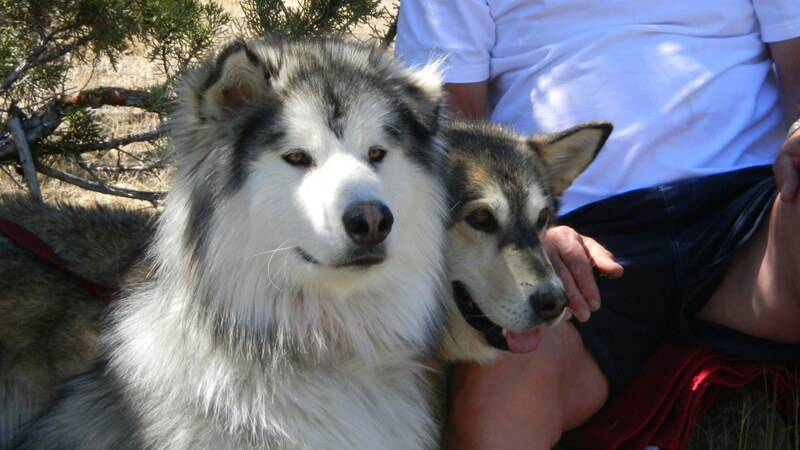 They happen to live to over 15 years of age too including the large breeds. Very interesting and usefull. Thanks for sharing.